Hi, I want to put a 11-36 cassette on the back of my 29er. I'm too weak and unfit for a 11-34 cassette now. Does anyone have a cassette they want to sell? Got to be 9 speed. And this is the tricky part... I want a XT style alloy carrier cos I'm a weenie. Did they even make such a cassette? What about changing the inner chainring for a couple of teeth less? Would probably be cheaper. Edited due to reading comprehension issues. Last edited by Velocipedestrian on Fri 7/Dec/18 9:25am, edited 1 time in total. "Now bicycles were never made for pale green pants to ride 'em. Especially spooky pale green pants with nobody inside 'em." 9sp is your Achilles heel on this deal, the only one available to my knowledge is a shimano deore/HG400 and it's 12-36. Sunrace may offer one but it's not available here if so. You might want to consider an upgrade to 10 or 11sp, they're both available in 2/3x with up to 42t first gear. "Don't let anyone say "the world is your oyster" the world is not an oyster..."
uuuugh, I thought that might be the case... trapped by nine speed. Now I know how all those eight speed diehards felt. Related/Unrelated question - do you have a clutch rear derailleur? Pair that with a lower granny and you’ll be laughing. 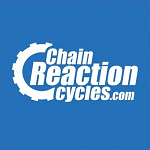 Have a look on crc, they often run deals on 10-11 speed conversion kits, sometimes not as expensive as you’d think. You’re still up for a cassette/derailleur/shifter/chain though - so obviously not as cheap as just a cassette if you can find one. No, I don't have a clutch derailer! I had forgotten about that innovation. Yeah, it's been about 7 years since I last rode real trails, and almost 10 years since I built up my 29er. Upgrades are a rabbit hole... I will check chainreaction to see what 10 speed would sting me, but when I start down that rabbit hole I think about slapping a 26 or 27.5 wheel on the back and lowering gearing that way. Or just singlespeeding it. What's the deal with 10 speed, does it use the same chain as nine speed? How about the hub, still 135mm? Have hubs got wider since more gears were added or are chains like dental floss now? Toko wrote: No, I don't have a clutch derailer! I had forgotten about that innovation. Yeah, it's been about 7 years since I last rode real trails, and almost 10 years since I built up my 29er. 9-10sp interchange is pretty good. The chains are technically different but I've used 9sp joiners on 10sp chains so there isn't much in it. Rear hub spacing and freehub is all the same, the current 142x12mm rear hubs are just 135mm rear hubs with longer end-caps which sit in frame recesses for easier install. I’ve switched from 9 to 10 speed on 135mm hub, all good as the my both run the same freewheel/cassette width. Chain is fractionally skinnier like you say. Technically I don’t think you need a new derailleur to go 9 to 10, given that the overall travel stays the same. All the indexing is done in the shifter, that’s the brains of the operation. My derailleur was pretty sloppy, and I wanted the clutch for chain retention given I was going 1x up front. Assuming your chainrings are gonna accept a new chain (9 speed rings to accept 10 speed chain), but if they’re worn then there’s another rabbit hole to go down! Dougal wrote: 9-10sp interchange is pretty good. The chains are technically different but I've used 9sp joiners on 10sp chains so there isn't much in it. From memory the internal spacings are the same, just very slightly narrower side plates? Which is why 9 speed chain rings work fine with 10 speed chains. Swweet, thanks for all the help. I took your suggestion, Conners, and bought a 10 speed SLX cassette (11-36), a Zee 10 speed shifter, and an XT chain. When they arrive I'll slap them on and my mountain-goat abilities should be restored. As an aside, do people climb hills with a 1x10 setup? I pointed my browser to a trusty gear calculator and did the calcs on a 29er with a 30 tooth front and a 42 tooth rear - errrk - not my idea of a good time! Toko wrote: As an aside, do people climb hills with a 1x10 setup? I pointed my browser to a trusty gear calculator and did the calcs on a 29er with a 30 tooth front and a 42 tooth rear - errrk - not my idea of a good time! Good for the quads, not so good for the knees! I'm upgrading right now from 1x (30T with 10-42T rear) to 3x (22/30/40 and 11-36). When the 10sp 11-36 wears out I'll go 11sp 11-40T on the back. Toko wrote: Swweet, thanks for all the help. Nice one - that should see you right. Yip - I went from 3x9 with 24/32/42 x 11-34 to 1x10 with 32T (oval) x 11-36. I'm on 26" wheels. Its fine for 99% of what I ride, I'm based in Welly. A typical ride for me looks like this - hopefully you can see the elevation chart. For rides like that (or something like Karapoti) I would be tempted to throw a granny on and just manually shift it over for the slog. But I don't race, or ride for outright speed any more, so getting off to push on the very rare occasion doesn't bother me. The silence thing is interesting. I find SRAM 1x11 was always grinding and pulsing. Whenever I'd be listening the chain was either in the big or small and at an angle that made the chain twitch and pulse both entering and leaving the cassette and sprocket. With 3x I can run far better chainline and avoid that. The only 1x ratios with a decent chainline are the ones I don't really use. Never heard and grinding or pulsing in low gears (big sprockets), sub optimal chainline in the 11 tooth but I don’t spend all day in it like you seem to. Silence is most noticible downhill, but that was mostly the clutch mech getting rid of the clatter and chain slap of the old setup. I’m sure losing the front mech quietened things in that scenario too.